The new collection of La Redoute is finally here and in today's post I share with you guys some of my choices for the new season that's approaching. Hope you enjoy! The brand is with discounts up to 25%. Lots of kisses! A nova coleção da La Redoute está finalmente aí e hoje partilho convosco algumas das minhas escolhas para a nova estação que se aproxima. 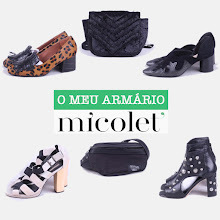 Aproveitem meninas! A marca está com descontos até 25%. Muitos beijinhos!